The Farmer LTD is a marketing company owned by a group of farmers from Moshav Shekef, who set a goal for themselves to market their products directly to the best wholesale markets and Super-Markets in Israel. The Farmer LTD is also exporting tomatoes to several places in Europe and North America. Some of the Farmer LTD's farmers are second generation to agriculture in moshav Shekef and third generation to agriculture in Israel. They grow grapes, tomatoes, cherry tomatoes and peppers in greenhouses, summer celery in great quality and, of course, the most amazing and tasty 'Yuval' cherry lycopene tomatoes which are grown and being marketed exclusively by the Farmer LTD. 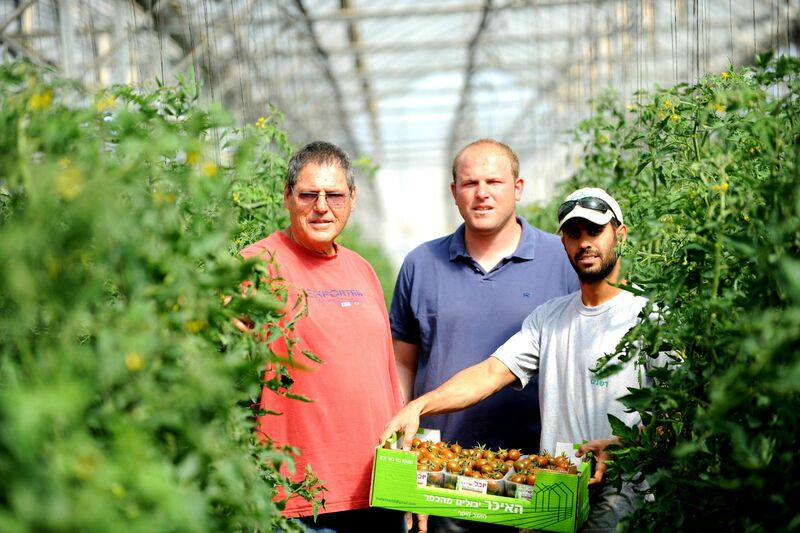 The entire crops are grown in moshav Shekef's fields between 300 to 400 meters height. The company uses Yossi Huta's services to market it's products exclusively. The "Yuval" variety is a tomato with a unique look and a flavor of "yesterday", combined with a high concentration of lycopene (an antioxidant with preventive properties for various cancers). "Yuval" tomatoes are featured today in a large number of prestigious chef restaurants around the country, among them: Dixie (Haim Cohen), Tapas (Jonathan Roshfeld), and Salon (Eyal Shani).